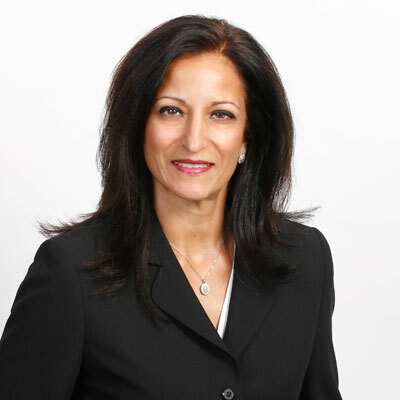 Manal Guirguis has spent over 30 years in the technology segment, mainly in wholesale distribution environments. She's held various positions including purchasing, vendor development, product management and asset management. From 2000 to 2003, she established Tech Data's asset management organization in Canada and implemented operational improvements, enhancing Tech Data's inventory position within the market and improved channel availability in the Canadian market. Guirguis' efforts resulted in Tech Data being named as Distributor of the Year in Canada by CDN for best availability and product support. Under Guirguis' leadership, Tech Data launched "Software Licensing Selector" in Canada, improving customer experience when purchasing software products. In addition, her efforts were essential in achieving recognition from Hewlett Packard, Autodesk and Microsoft with their Canadian "Distributor of the Year" awards. Currently, Guirguis holds the position of director, Endpoint Solutions and is responsible for the relationships, strategic operations and marketing of Tech Data's Endpoint Solutions vendors supporting PC systems, mobility solutions, peripherals and printers, with the objectives of maximizing revenue and share within the Canadian market. Guirguis received a degree in Computer Science from Concordia University and volunteers with her family in providing clothing and food for the needy in the Greater Toronto Area. I have led proposals and negotiations that resulted in the addition of major vendor relationships to Tech Data's Canadian portfolio (e.g., Dell, Apple, Samsung). With the addition of such vendors, my team and I have expanded Tech Data's product offering and availability to the Canadian channel and established educational strategies for the entire product portfolio to the sales representatives at Tech Data and the IT channel in Canada. These training activities have primarily focused on enhancing product knowledge and positioning, with the goal of increased revenue and share for Tech Data and its vendors within the channel. Currently, I am launching Tech Data's Tech-as-a-Service (TaaS) initiative in Canada. The TaaS offering provides a subscription-based model with a comprehensive, flexible and scalable solution - customizable to the end customer's needs. This initiative is intended to increase IT worker productivity, while reducing procurement workload and time spent in IT asset management. The IT resellers in the Canadian market will benefit by having a complete offering of Tech Data's product portfolio, including hardware, software and services - thus increasing the reseller engagement and value proposition to their end customers. I look forward to expanding Tech Data's reach to the mid-market IT space in the upcoming year, through targeted communication and educational events positioning Tech Data's services and our vendors' product offerings and programs. These initiatives will be delivered to over 2,000 mid-sized IT resellers in the Canadian market, where we will target and track resellers' growth, while enhancing their knowledge of the various participating vendors. In addition, I look to fully launch Tech Data's Tech-as-a-Service (TaaS) program in the Canadian market - providing IT resellers a platform for a higher level of engagement and interaction with their end customers. I admire Oprah Winfrey. Even though Oprah was born in poverty and experienced significant difficulties during her childhood, she was able to focus on her education and build herself up through hard work, tenacity and an open mind. Several assessments rank her as the most influential woman in the world, as she promotes a culture of openness around most critical issues. Oprah also supports education for young women in developing countries and was awarded honorary doctorate degrees from Duke and Harvard. The advice I share with my daughters is the same I would give my 16-year-old self: • Stay focused on long-term goals while being present in the moment, in both professional and personal environments. Bring 100 percent effort in the moment and drive passion in everything you do. • Enjoy each achievement at work and each milestone in life. • Don't be discouraged or derailed from your focused approach by negativity from others. • Be kind to others and offer a helping hand to individuals who need it most, as we all need support at various points in our lives. I would like to study and gain a deeper knowledge of business law and managerial economics, which are elements of the accreditation for a Master of Business Administration (MBA) program. I believe that those elements would support my passion for business management, as well as provide systematic and innovative ideas for further growth, personally and professionally. "The Three Signs of a Miserable Job," by Patrick M. Lencioni. This book crystalized areas where executives can influence a culture of accountability with managers and employees by having a continual conversation about Anonymity, Irrelevance, and Immeasurement. Managers can learn how to motivate their people while maintaining achievement and accountability. I've implemented some ideas from this book, including monthly one-to-one meetings between managers and staff to review progress against goals and discuss ongoing initiatives. Most of the team members appreciate managers' time and feel a deeper connection to the business and the importance of their role in supporting channel initiatives.